The teaching workforce has changed and many teachers are younger with growing families. This makes the need for child care an increasing concern and a factor when selecting a job. School districts that offer child care to teachers may help prevent them from leaving the classroom. Child care can also be used as a "perk" to attract new teachers with small children. Teachers enjoy district-run child care centers because they're only open when school is in session. This means that parents don't have to pay for holidays or days when their kids don't need to be there, unlike most traditional care. In addition, because it is operated by the school district, the center may be open on high-need days or during special evening activities. This prevents teachers from scrambling to find child care when they must attend training or school-related events. Some district-run child care centers remain open in the summer. They provide "camp kid" options for enrichment, sports, summer learning programs or day camps with field trips. Because these centers are located in the same geographical area where teachers work, they provide greater convenience than traditional daycares. Many district-run facilities use highly qualified educators and seek accreditation by the National Association for the Education of Young Children. Often, the center is run by an experienced childcare director who knows the business and also has an established relationship with the district's administration and parents. And because the families are mostly made up of teachers (although some districts may open it up to all employees and others will allow the public to join based on availability), there is greater agreement as to expectations and early learning needs for future school success. Although most classroom teachers are women, male educators are just as quick to sign up their young children at the centers to allow their working wives the same conveniences and comforts afforded to their female counterparts. 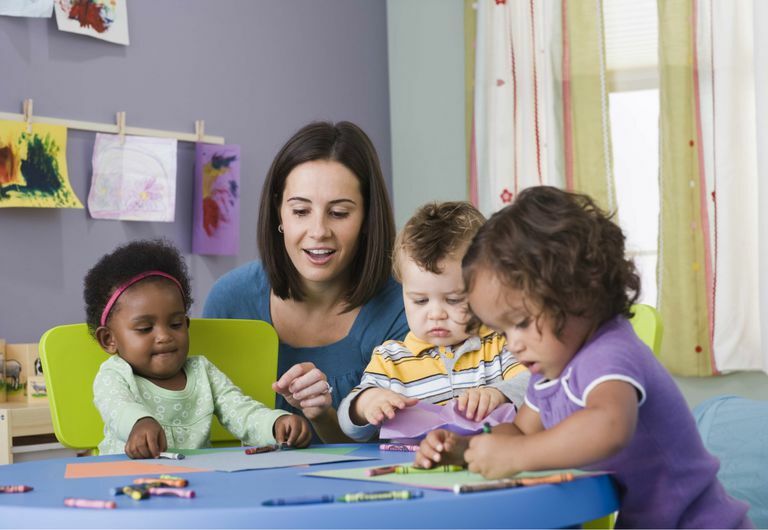 While child care centers are only feasible for districts that have space and the desire to operate such ventures, savvy districts recognize that these centers likely allow them to attract the best talent possible and keep new parents on the payroll. Educators should ask if this type of option is offered when choosing where they would like to teach. If a child care perk is not available, the next step is to ask why not and see if a feasibility study can be conducted. After all, child care centers help school districts make the grade. Whitebrook M. Building a Skilled Teacher Workforce: Shared and Divergent Challenges in Early Care and Education and in Grades K-12. September, 2014.